To start the New Year we're excited to announce a revamp of the GOD Mode program, which was launched in June 2015. 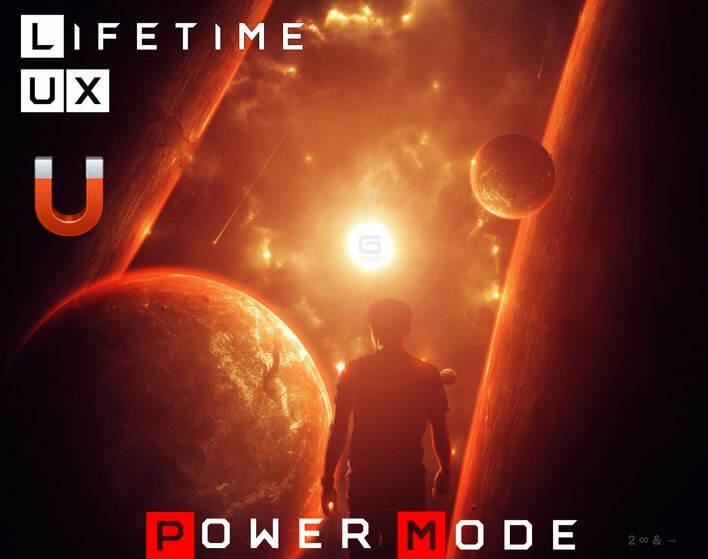 (1) Although the name GOD Mode was based on a cheat code in video games that makes a player invincible, some members did not like it; and as we move to more of a tech-lifestyle social media network, we needed a more general name for the subscription program. Therefore, we've renamed it Power Mode. is Attraction (priced at .99 cents per month). Due to the significant growth in UX subscriptions, we no longer need to charge for Attraction, therefore it is now completely FREE, and all CC subscribers have been unsubscribed from recurring payments. (3) We've finally opened the signup page for LUX (Lifetime UX) at gtribe.io/lux. The cost is $155. LUX is a one-person, lifetime Power Mode subscription that is non-transferable. LUX subscribers receive all of the UX enhancements, and additionally are granted priority invitations to test our unreleased technologies and will receive a signed (numbered) certificate, confirming their lifetime subscription. (4) Because LUX is a lifetime subscription we've created a unique badge for LUX members: a pulsing golden diamond. Why? Because LUX is Forever.